Domains International (Blog) | Domains Marketplace: Who to Follow on Twitter to Maximize Business Potential? Who to Follow on Twitter to Maximize Business Potential? Most new users who sign up for a Twitter account will ask questions about hashtags, @ signs and whom to follow. These questions are all valid and one can only progress in the Twitter world when in sync with the system. Following people is the first step towards being an active member on this particular platform. Joining sites such as Twitter and Facebook require a certain level of dedication. These social networking sites are not simplistic when it comes to attracting followers. Getting the account off the ground with your first set of followers is difficult without guidance. At times, not only is it difficult attracting followers, but following people becomes a tough exercise. One does not know whom to follow and whom to avoid. There are steps to making the process easier for new users. A question one should ask prior to signing up is whether this account is necessary. Will it push the business forward or be a waste of time? Are there enough people on Twitter who will be interested in your product or services? These are all questions that should arise prior to making that account and going down the path of social networking. 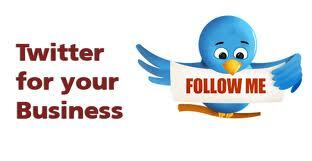 If you decide to go ahead with making an account, it is pertinent to follow people related to your business. For example, if one is running a technology centric business, it is best to follow people from the same field. This will attract other followers who might hop on over to your account and read what it is all about. The easiest manner of finding new people to follow on Twitter is through hashtags. Simply, search for people through particular hashtags and begin following them. If they are interested in you, they will follow your account. This is how one can begin to entice followers to their business account. Remember to always focus on the most appropriate hashtags as attracting unnecessary and unhelpful followers is a waste of your time. In the beginning, it is like an addiction and users begin following everything that moves or breathes. This is not the right way to go about things as it will simply clutter up your account and make it harder to navigate. Learn to pick and choose who you follow and watch the results become more positive in nature. Follow this strict set of instructions and watch things flourish. 1) Do not give leeway to spammers and others who are looking to simply get clicks to external links. They will purely spam all day hoping for someone to click their links. Avoid these individuals like the plague. 2) Follow those who have similar interests as you and your business. These are the type of individuals that deserve your attention and will benefit your business. Due to their similar interests, you will be able to easily engage with them and potentially find new consumers. Always focus on having this set of requirements in hand when you are looking for followers. Twitter has a lot to offer for businesses, but to only those who use it in an intelligent manner. Do not become flooded by spammers and unhelpful followers. Always keep your own profile interesting and attractive. The 'Twitter egg' is not the image that should be donning your profile page. Put a business logo or something similar in place in order for followers to recognize you from the others. 'Twitter egg' profiles also indicate a member who is not as active. Do not follow these individuals as they will simply bog down your account and just be a number. The goal is to find quality followers and not just look for quantity. When you have determined a criterion for what you are looking for, Twitter becomes much easier to navigate.